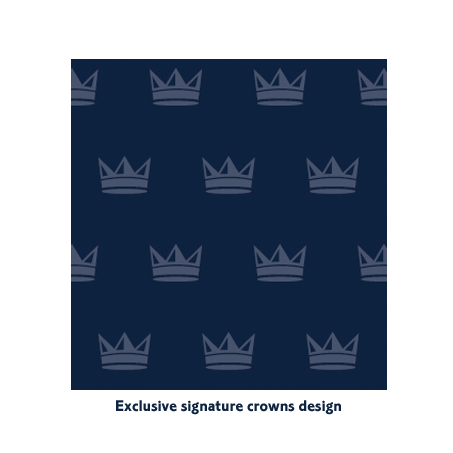 The Royal cooler rucksack provides you with everything you need for your family picnic when camping or caravanning in the great outdoors. 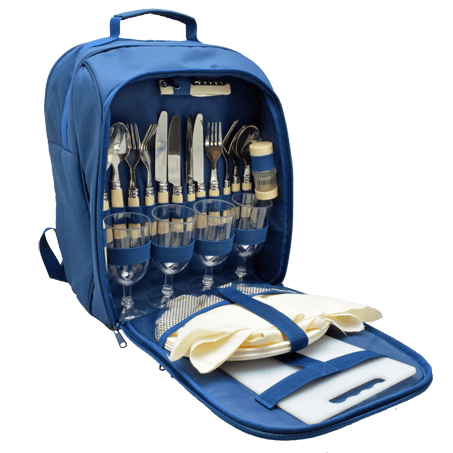 The rucksack includes an entire set for four people consisting of dinner plates, acrylic wine glasses, cutlery, a bottle opener, salt and pepper, a chopping board and a napkin. The large insulated cooler compartment ensures that all of your food and drink will be kept cool and fresh and the additional front zip pocket is also perfect for storing any extra valuables. With a heat-sealed and leak-free lining to ensure ease of cleaning, as well as an adjustable shoulder strap to allow for easy transportation, the cooler rucksack is designed for your comfort and convenience. Measuring H 40cm x L 30cm x W 25cm at its full size, the picnic rucksack has plenty of room to store all of your food and drinks, whilst also remaining a manageable size to allow for easy transportation.